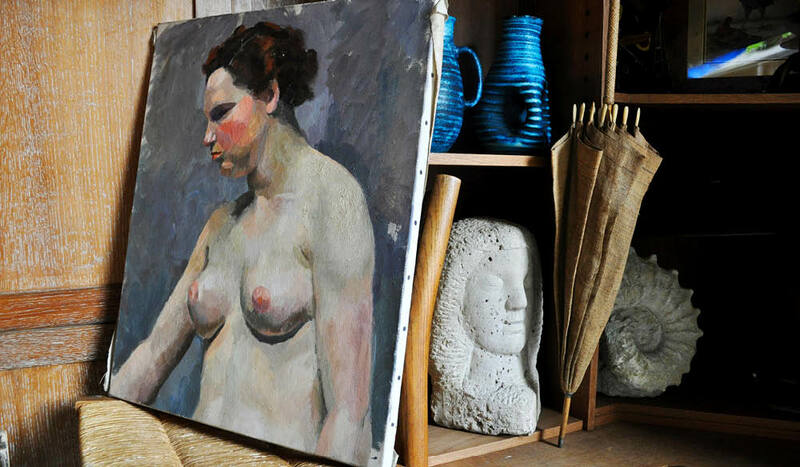 You'll find antiques and original artworks at Marché. We reveal how to navigate the Marché aux Puces de Saint-Ouen in Paris, the world’s largest antiques and second-hand markets. Back in the days when the French franc was still the ‘lingua franca’, I fell in love with a Louis XV cherry bedside table at the Marché aux Puces in Saint-Ouen, on the northern fringe of Paris. I was living in New York at the time so, of course, buying it was out of the question. The enterprising flea market dealer had other ideas. He convinced me that it was the size of a suitcase, offered to box it up and personally deliver it to my hotel on the Left Bank. I don’t remember the exact price we agreed upon but it was certainly no more than $200 and it sits beside my bed to this day. Le Passage is where to find vintage clothes in Paris. Since then I’ve visited Les Puces on every trip to Paris and have always come away with something. The most portable items are linen napkins, bone-handled knives, silverware, postcards and posters, vases, cups and saucers, copper pots, vintage couture, designer scarves, corkscrews, antique toys, buttons and all manner of bits and bobs. Last year, I bought two original French leather club chairs from the ’30s. Only this time I didn’t try to squeeze them into my checked luggage. Thankfully, a scrawny 70-something French trucker brought them down to Bordeaux, where I’d just bought a farmhouse; all the better to cater to what has become a French flea market habit. It’s not all baubles and beads trawling Les Puces, or The Fleas, as they are affectionately known. There are more than 1700 stands tucked into 15 different market zones, each with its own name and atmosphere, such as Malassis, Biron, Serpette and Cambo. It’s all rather overwhelming and very easy to get lost in, so here are some tried and true tips. First of all, if you’re serious, make a weekend of it. The markets are open from Saturday to Monday every week of the year. Sunday is particularly buzzy since much of the rest of Paris is shut up tight. While many stalls are closed on Mondays, the atmosphere is calmer. I suggest staying overnight in the nearby uber-cool Mob Hotel Paris, self-described as a ‘dream republic’. The first iteration of an inspired new hotel group created by flamboyant businessman-philosopher and Mama Shelter hotels co-founder Cyril Aouizerate, this is one of the nicest hotel stays I’ve enjoyed recently and it’s super affordable. The beds are sublime, the rooms whimsical, the bathrooms spacious (a rarity in Paris), and the restaurant serves fresh organic ingredients. Best of all, you get to hang with the locals, who might be flea market vendors, neighbours working their vegie patch on the hotel roof, or start-up entrepreneurs from the on-site co-working space. There’s local artists’ work for sale, an open-air Saturday cinema, loaner iPhones, rooftop ping pong, guitars for guests, and what might possibly be the biggest foosball table in Paris. You could spend a week among the stores of Paris’s Marché aux Puces. Why are they so far away from the centre of the City of Light? Flea markets have always existed in a ‘shadow zone’ outside the city limits. For centuries, scrap merchants sifted through rubbish at night to resell salvaged items. The very term ‘flea market’ is a satirical phrase referring to the fact that this old stuff came with fleas at no extra cost. Open-air markets sprang up in the mid-1800s in Saint-Ouen, between the city walls and the market gardens. Marché Vernaison was the first merchant village opened in 1920, Biron and Jules Vallès followed not long after. 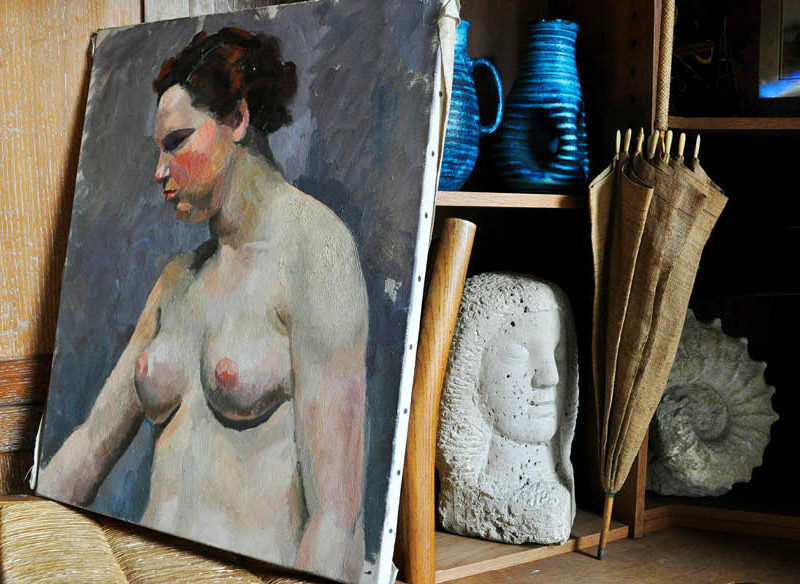 Gradually, professional antiques and second-hand dealers replaced the rag-and-bone men and today they bask in a glow of nostalgia as all things vintage and old-fashioned are chic again. The oldest and most bucolic market, Marché Vernaison is an inviting labyrinth of wisteria and honeysuckle-draped alleyways dotted with 300 stalls. It’s the most appealing for international visitors because vendors tend to specialise in smaller items like jewellery, linens, postcards, cutlery, house numbers, beads, buttons, keys and picture frames. Serious punters agree that Marché Paul Bert Serpette is the most prestigious, offering a brilliant and diverse mix of antiques and contemporary design, tribal art, archaeology and jewellery. They have lots of furniture but you can still find unusual pieces to tuck into your suitcase. And you never know who you might bump into: Bill Gates and Julia Roberts are big fans. Foodies should head directly to ivy-draped Bachelier Antiquités, which over the past two decades has amassed an enviable collection of wine paraphernalia, copper pots and casseroles, not to mention cast-iron stoves and butcher block tables. Vintage clothes lovers can spend hours exploring Le Passage, while bargain hunters will have fun trawling the atmospheric alleyways of Marché Jules Vallès to discover quirky trinkets, ‘back-of-the-attic’ gems and military knick-knacks. Glass-roofed Marché Dauphine offers a ’60s air, with its Maison Futuro fibreglass display house by Finnish architect Matti Suuronen, which looks like an orange pumpkin on four paws with portholes for windows. There are lots of retro-chic gems here and music lovers can pore over old instruments and vinyl record collections. Storage Wars France’s star and antiques dealer Julien Cohen also offers an exquisitely curated gallery of vintage wares at his Mes Découvertes shops both here and on Rue Paul Bert. This is not Morocco or Phuket, so don’t expect to negotiate for items at half their listed price. If you are interested in something, engage the vendor and ask about its provenance (many, but not all, speak English). Offer 30 per cent less than what is being asked for and be very happy if you get a 15–20 per cent discount. You could fit out an entire house from finds at Les Puces. French designer extraordinaire (and flea-market lover) Philippe Starck owns trendy bistro Ma Cocotte in the bosom of Marché Paul Bert Serpette. Grab a table on the first-floor terrace so you can survey the scene over a roast chicken or steak tartare. The more traditional Café Le Paul Bert is not far away. On a sunny day, watch the world go by from cane chairs on its terrace. There are two must-visit venues for music lovers (and/or bored husbands in tow). La Chope des Puces on Rue des Rosiers is a shrine to renowned gypsy jazz guitarist Django Reinhardt. On Saturdays and Sundays, enjoy a bottle of red, classic French fare and superb performances from contemporary gypsy jazz musicians. Chez Louisette, in the bowels of Marché Vernaison, channels the spirit of a 1930s guinguette music hall overlaid with kitschy Christmas decorations and flea market paraphernalia. Skip the food, which is deplorable, but have a drink at the bar to hear chanteuse Manuela’s excellent renditions of Édith Piaf standards to the strains of an accordion. There are numerous shipping offices dotted all over the markets. When you’re purchasing an item ask each dealer which shipping office they prefer to use, which might also help with your negotiating. Bonne chance!